Pump is the one of the first pieces of powered machinery to be invented at the dawn of the industrial age was a crude form of pump. 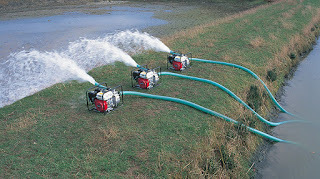 The pump has since evolved into an endless variety of types, sizes, and applications. This blog will give an overview of the general types of pumps that are in common use in process plants. A functional understanding of pumps, their use, and application, is essential to understand how most processes are handled in process plants today. 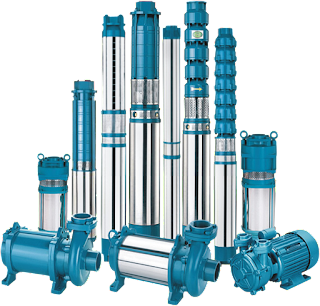 Pump is a machine or mechanical equipment which is required to lift liquid from low level to high level or to flow liquid from low pressure area to high pressure area or as a booster in a piping network system. The principle behind the working of pump is "Conversion of mechanical energy into fluid flow energy". 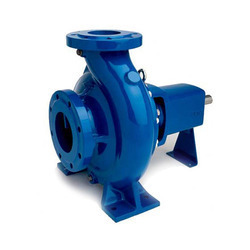 Pump also can be used in process operations that requires a high hydraulic pressure. This can be seen in heavy duty equipment’s. Often heavy duty equipment’s requires a high discharge pressure and a low suction pressure. 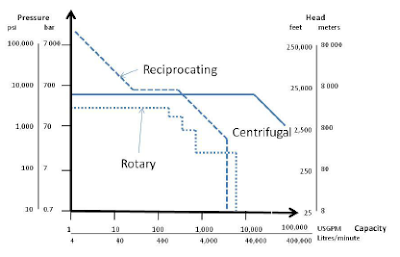 Due to low pressure at suction side of pump, fluid will lift from certain depth, whereas due to high pressure at discharge side of pump, it will push fluid to lift until reach desired height. Only the sail can contend with the pump for the title of the earliest invention for the conversion of natural energy to useful work, and it is doubtful that the sail takes precedence. Because the sail cannot, in any event, be classified as a machine, the pump stands essentially unchallenged as the earliest form of machine for substituting natural energy for human physical effort.